Wild Bread Chatroom - Why is water so important to a wild-yeast mother? 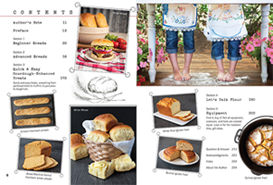 When we talk about creating a wild-yeast mother, good organic flour and purified water are at the top of the list of must-haves. Why is water so important to the health of a wild-yeast mother? We typically think of water as one of the most "pure and natural" substances. This is true, but being a product of nature, water is also home to trace minerals, microbes, and sometimes bacteria. To combat this, various degrees of filtration and/or purification are employed to rid water of potential contaminates. The addition of chlorine to tap water is also common practice. Chlorine in particular can have a negative impact of how your wild-yeast mother performs. The ultimate goal is to add the best, purest water accessible to you. Due to chlorination, tap water is not a good option for a mother. Well water that has been tested for purity is an option, as well as distilled or purified water. 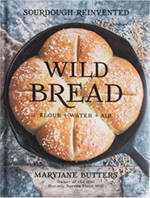 For in-home water distiller and water purifier recommendations, see p. 209 of Wild Bread. I thought I read from your book that if you don't have chlorinated water, ie, well water, that you might be able to get away with well water. I have not been, but could use the water filtered from my fridge. Would this be preferable. so for after a week my starter is active but not like Old Faithful! Ideas? Like I mentioned in my other post, Caroline, your Nana needs more time to mature if you've only been feeding her for a week. Because variables are difficult to troubleshoot, we try to steer beginners away from, well, unknown waters! It's always good to limit the variables when starting out. Eventually you can try your refrigerator water (you'd want to bring it up to room temperature first). What type of water are you currently using to feed your mother? I�m not sure from your post. Are you on a well or municipal tap water? I you have tap water and it is chlorinated, your fridge filter won�t remove it, so you would still need to find out a way to get water without chlorine. Like MaryJane said, since you are just a week in, your mother needs a little more time until your mother becomes active.